Generations of employees and leaders have been exposed to varying cultures, leadership styles and business practices. Understanding how generational change impacts leadership and organisational learning has become an interest of mine. As is the transition of students from university into the workforce. Is generational change impacting the need for different types of leadership? I am very lucky to be working as a coach and mentor with some great companies and leaders. 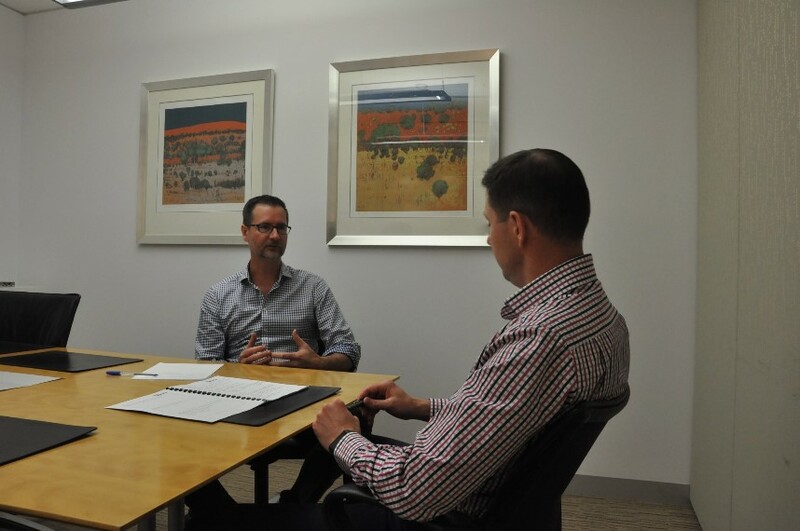 For a few years I have been consulting and coaching within an architectural company in Brisbane. Two of the more impressive leaders employed there are Luke Madden and Kevin Gerrard. Importantly, we have developed a great deal of trust and strong relationships. From my perspective, it has been genuinely interesting being a part of their developmental path in recent years. Both Luke and Kevin are measured in their thinking and mature in reasoning. For these reasons and others, I appreciate their perspectives on many topics, including generational change and professional observations. Luke is a 26-year old recently registered architect with an immense opportunity for his future. Kevin is an experienced architect and leader with over 30 years in the industry. Their views are relevant no matter what industry you work in. It has been fascinating discussing their history and journeys to date within the coaching context. Luke has previously shared some thought-provoking views about his generation; transitioning from university to the workplace; and learning from his career to date. I felt it may be of interest to contrast his views with those of Kevin, to understand the changes and differences that have occurred over the last 3 decades in their respective experiences. Recently, during a lunch meeting, we spent some time discussing leadership, universities and moving from a educational environment to business. Is it the universities responsibility to prepare people for the ‘real world or is it simply to educate specific subject matter? How different is the workplace – has generational change affected leadership inputs and attitudes of employees? Kevin: In my time as an architectural graduate and in the years immediately following architectural registration, it was generally the case that you progressed in a company by gaining experience on projects and by gaining knowledge to a point where you could effectively manage projects and achieve seniority. In current times, it’s more likely that opportunities for progression can happen through young graduates and recently registered architects becoming specialised in a particular aspect of architecture or showing talent in particular non-project related aspects of the business. How effective and relevant is that from a practical point of view within leadership and culture? Kevin: One of the things in architectural practice that has not traditionally been handled very well is succession planning. Too many architectural firms grow and grow and then die because too few employees and newer leaders have been brought along on the journey. There should be a genuine drive to keep organisations operating beyond the current directorship. It’s really important to foster people coming through, listen to their new ideas and different ways of doing things. Is that what a graduate would be looking for in an organisation or industry? Luke: Yes, that’s pretty right. Loyalty, in the past as I understand it, would lead to reward. You would get a job and wait your time and hopefully someone would retire and you would progress. But, there was almost always a time factor. Now, people want to be given opportunity or rewarded with something. If you can keep people happy in that sense then they are more likely to be loyal. There’s less patience with people my age, generally. Many things are expected straight away. Kevin: Our younger employees are more likely to move around and try different things. People of my generation require more security. This has always been a big thing for me. In my career I have had two main jobs and both of those were very secure jobs. It’s a different mindset now. Luke: Yes, there is less loyalty now in that sense. It’s very much a look after yourself mentality for people when they graduate. I need to find an employer who is going to look after me. It’s not about finding the first place and sticking with them. People are a lot more flexible – it’s so easy to move. Kevin: I may be generalising, but people of the younger generations are not always content with just learning what you’re learning. They are often looking to learn other things and other ways to go about things. In architecture particularly there is a vast range of things you can be doing. You are spoiled for choice really but there is generally no hesitation in moving around. The boundaries, whether perceived or real, have moved. Working in a reasonably conservative industry, how does a business such as yours support and meet that need? Kevin: You do that by talking to your staff and finding out what they want. Engaging with people who show aptitude for things and building teams around that. How does someone show aptitude – when you think of aptitude what is someone displaying or demonstrating? Kevin: I look for enthusiasm and a quest for knowledge. Improving the product and brand – employees should be always thinking about that, not simply doing what they always do. Luke: I think one of the key things is that, at least to begin with architects are passionate about what they do. You don’t get through an architecture degree without being passionate about it. So, just on that, in your cohort through university how many students started and ultimately completed the degree? Luke: There was probably a 30% completing rate when I went through. Kevin: We started with 110 people in our year. Six people from that initial cohort graduated in the minimum time. The largest drop-out rate for us was in the first 6 weeks. Back then architecture was fairly easy to get into. People I think just thought they would try it and after 6 weeks of the first year we were down to 60 or 70 students. That is a really significant drop-out rate. I am a bit surprised! Luke: I think the key thing is fostering that enthusiasm and passion. A lot of people after graduating and when they enter the workforce are really excited. It’s really important to do what you can to keep them excited. What would keep a 24 or 26 year old graduate six months out of university interested and excited? Luke: Probably showing them direction and a development pathway. Part of it is outlining the development people need to succeed and ultimately get that promotion or extend their role. For good employees it’s important to show them what is being done to improve and what they can do to give back. It’s one way to harness that enthusiasm and continue it, rather than getting a role and not feeling like they’ve got that opportunity or not knowing what they can get out of it. Kevin: One of the things that I think has changed is that when I went through university, the courses were much more tailored to give a broad range of experiences. Most of us also worked part time, so by the time we had finished the course you were generally quite ‘well-rounded’ in everything that architecture needed to be. I may be generalising, but uni courses nowadays are much more design-orientated. Input from employers and the ability to learn on the job is less now. People coming out of university courses now potentially have quite a bit of knowledge to gain before they can be confident that they are rounded enough to gain architectural registration. It’s not necessarily better or worse, it’s just different. Luke: It’s often about educating employees about what you do as an architect. In uni we focused more on the the good and interesting parts of architecture, but very few people end up in a role where that’s what they actually do. Unless you work and get an understanding of what actually happens in the workplace, a lot of people graduate without knowing what goes on day-to-day. What about broader business acumen requirements such as EHS, leadership, accounting, cultural development etc. How much of that is covered? Kevin: No, not much in our experience. There are some very basic principles covered but the study of professional practice usually centres around building regulation and building contract management. Luke: I don’t think most people understand. It is all covered, but people don’t necessarily enjoy it. They want to focus on the design side of things and miss that there is actually a business side of the learning that they need to be aware of. One of the reasons I rate both of you as highly as I do is that you have an interest in the business beyond the obvious architectural skills. One of the things you bring is a passion for the people side of business and the broader business acumen. This is not always common with younger people in my experience. It’s often the inter-relationships side of business; how to be accountable and responsible for something beyond the base requirements for the roles. How much of this is about personal preference and attitude? Luke: It’s probably not drilled into people the importance of those sorts of things. For example, the ability to communicate not just through your drawings. As soon as you graduate you are dealing with people and working with team members on a daily basis. There is very little emphasis on leadership and things like that in formal learning through universities, in my experience. Kevin: There has to be a heavy reliance for employers to provide much of this type of learning in on-the-job training, but it’s probably not structured. People usually develop in specific aspects of architecture and have to learn on the job and gain business acumen and people skills through practical experience. This is one of the reasons I wanted to speak with both of you. It’s about understanding a perspective of inter-generational learning, culture and what different people want. How well does that align with what employers provide? Not just your organisation, but business in general. It feels like a missing element across industries and organisations. Kevin: I don’t think most businesses provide that at all. Unless individual employees proactively search for it for their own needs to provide for some sort of structure. Architects usually learn on the job from seeing their peers and how they operate. Usually if a firm specialises in some particular field of architecture (like Health or Aged Care or Prisons) people will ultimately learn by doing those projects and learning the systems and procedures that apply to those particular fields. Is that a problem…if universities aren’t really providing it in a meaningful way and organisations often miss the opportunity? Then owners and senior managers get concerned, worried or disappointed that our newer or younger employees don’t have those skills. People don’t just automatically get this aspect of business. Kevin: I think this is one of the real issues. That can only make practices better at what they do. Most of them probably just fumble along, doing what they’ve always done. They do big jobs getting big fees. I have seen companies that focus on that only. Their structures that are in place for resourcing and developing people are non-existent. Most recently, there has been a bit of a change in some companies. For example, working with people like yourself, Steve, to improve processes and people can only make that better. It makes profitability better at the end of the day. But, a lot of architectural practices don’t have a good idea on that. Architects are rarely good managers, traditionally. Luke: It’s important to take that development approach. People will complain that students graduate and not know enough. All of them are doing the same course, so unless employers do something about it they will find graduates who don’t know exactly what you want them to know. Kevin: We try to hire people with the right attitude and temperament. The right drive to do things as you would like. It’s not necessarily about their skills. Skills can be taught and learned fairly readily. Luke: Yes, but it’s also the ability to learn and learn quickly. It’s even more important now that you have that good learning environment. It’s more common to be working in larger teams and not just working by yourself. Having that teaching/learning culture is invaluable. Luke: The ability to communicate with other people. The biggest thing thing is that in high school and uni you are always served. All of a sudden you get into a professional environment and often you are the one serving. You’ve not had to deal with that to that point. You have to be able to work out how to manage those relationships to work best with each other. The ongoing nature of relationships that may last longer than in high school or university requires different skills. I am really passionate about the transition from university to the workplace. It is a significant gap. One of the observations I have made in recent years is that there is a higher level of expectation from graduates and entry level employees versus the reality of what ‘the real workplace is’ and their input into it. Kevin, thinking about your 30 plus years of working and your transition from university to work. What is the one thing you wished you were provided, exposed to or sought out, knowing what you know now? Kevin: An old architect friend of mine once said to me that you don’t really hit your straps as an architect until you are around 40. Although obviously it’s not true for everybody, what I think he was getting at is that after around 15 years in the workforce you have seen most things. You know how to work things, to keep processes moving etc. You don’t have that sense about how things should pan out until you are around 40. For the most part, he was right. I was running jobs on sites at 22 or 23. When you have that responsibility the fear of failure is immense because the consequences are huge. I was constantly deferring to my seniors or other people for input. It’s not until you are older and much more experienced that you instinctively know where things are headed. You gain the confidence to make decisions yourself and be comfortable with those decisions. But, up until that point it’s hard to be accountable because you are so unsure of things. There’s lots of little failures that you can make along the way. A lot of smaller details and things that can go wrong. You won’t get them all right, which is OK. The trick is knowing when to look for help because in architecture and construction, small mistakes can have quite dire physical of financial consequences. I am interested to know your thoughts about a potential contradiction that exists. Generally, younger employees are more mobile and loyalty is seen as a little different in modern workplaces. Employees need to be more aware of providing development pathways and opportunities. At the same time they are often not as aware of the effort that’s required to translate this learning into actions and sustainable change. For many employees, “If it doesn’t work out, there are other options” seems to be more the mindset. Luke: Yes and some people graduate and think they have learned what they need to learn. They don’t realise that it takes time to understand all situations that can occur. Kevin: I find the best employees, when they have a problem, firstly recognise that they have a problem. They will seek advice and guidance and work their way through it. There are other people who are less aware. Luke: You are always better off to ask the question than having a guess. You don’t learn anything from guessing. That takes a certain amount of personal and professional maturity and confidence to become that sort of person. One of the keys to leadership is to not believe that you must have all the answers. Good leaders also have the genuine comfort and self-esteem to ask and seek feedback from those who can help. I think that the systems, both academically and professionally, perpetuate that myth…that leadership is about having all the answers. When people find out that the reality is 180 degrees the other way, it is surprising to many people. Luke: You never get to a point where you have done it all, or know it all. This type of message is not communicated all that well in uni. Kevin: You have to be in the right environment as well for that sort of thing. My old boss would lecture that it’s sink or swim. You have to be in an environment where people are comfortable to admit mistakes or go to others with problems. I have a respect for that. That’s the difference between a supported challenging and unsupported challenging environment. I challenge you and then leave it up to you to then find the solutions. Or, I work with you to find the best options based on your input. The best leaders I have seen help people to learn how to fish, not just give them a fish, meeting the short-term need. They don’t simply give the answer because it is easy and quick. Teaching, influencing and guiding means that the employee is better off in the long-run and they start to feel respected and think for themselves. As an employer and senior manager of a small to mid-sized organisation, when employing a graduate or younger employee what are the attributes you are looking for the most? Kevin: The non-architectural, intangible things like enthusiasm and passion. You might be looking for technical abilities, but generally the technical skills are at a fairly basic level. People quickly show an aptitude for certain things. How many people at that age in your experience, are aware that that is what you are looking for? Kevin: Probably not that many, if I’m honest. I have been involved in employing people previously and they haven’t worked out as promised. Changing attitudes or bad attitudes is a problem. These good attributes are not that easy to find at all. So, from a university point of view, wouldn’t it be great if we could get that message out. Technical knowledge and what you are learning during your studies is important, but you know what, organisations are looking for more or something different. I continue to work across multiple industries and I don’t think people know. This is an issue for many organisations and cultures. From that point of view, what did you expect from an employer when moving from university to the workforce, Luke? Luke: I think that most people graduating in architecture think that employers are looking for creativity, which is typically not what companies look for. But, if I was running a business and looking to hire someone, I would be looking for someone who has a vast range of experience. They have not focused solely on architecture. A lot of people go to uni and only study design, because they think that is what it’s about. Whereas, people who have maybe done a trade for a while or completed a minor in a different degree like business or construction, probably understand there is more to architecture than design. They have learned about other things. Sometimes the people who are solely focused on design or one aspect of architecture feel they are let down by the reality. Is generational change a factor in how we run our organisations? Probably! Yet, uncertainty remains about what this has meant and what is required for the future. I would like to thank Kevin and Luke for their time and input into this blog. The points raised are not specific only to the architectural industry. They may highlight architecture university learning and reference a single workplace, however the same points are reflected in many organisations and industries. Through understanding a perspective of two different leaders within one organisation, perhaps it triggers thought. The point is to understand what this means for you and your business. What can you do to better support the graduates, younger employees and others in your organisation? What can you do to take ownership and be accountable for your own growth and opportunities? I am interested in your opinions and thoughts on this topic. This entry was posted in Leadership, Leadership Development, Learning, Mentoring, People Development, Purpose and tagged CoachStation, Leadership, Leadership and Management, Leadership Development, Management, Mentoring, People Development, Personal Development, Steve Riddle. Bookmark the permalink.